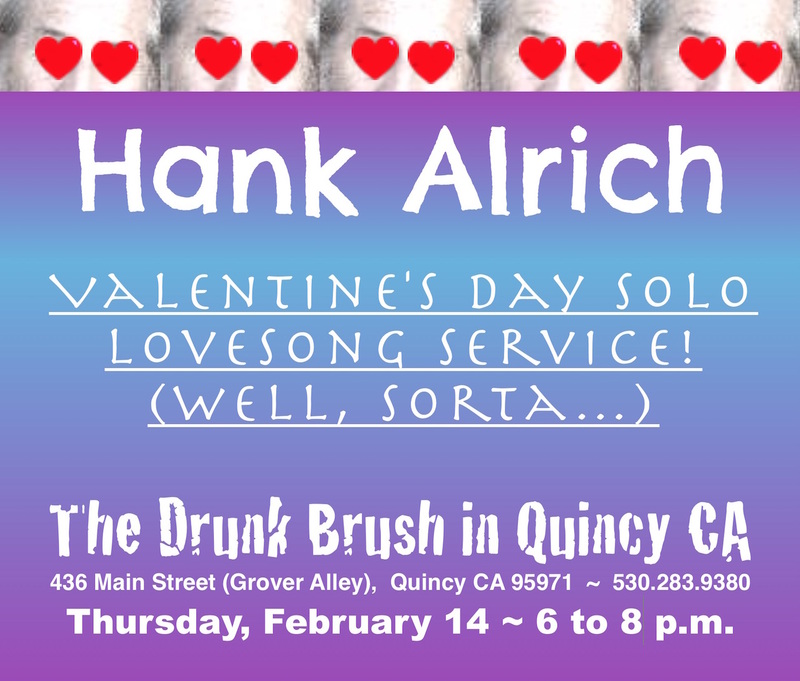 Hank Alrich ~ Valentine’s Day Solo Lovesong Service! St. Valentine’s Day! Ah, the never-ending hype of romance, i.e., estrogen, testosterone, alcohol, adrenaline, food, and music! And on this glorious day of effervescent advertising, chocolate! 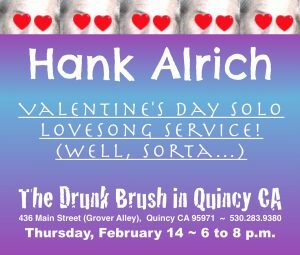 I’m digging out love songs I have written, and love songs I have stolen, and of course, a few other choice morsels of musical delicacy too rare to mention here.